This was disclosed by the Kwara State Attorney General and Commissioner for Justice, Mr. Kamaldeen Ajibade, SAN, at a Kwara State High Court on Wednesday, when five of the six principal suspects were brought to court. 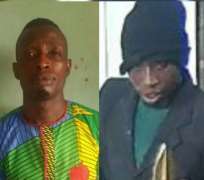 When the case came up, Ajibade, who said that his office received the case file of the robbery operation on Monday evening, explained that the head of Police investigation team, Mr Abba Kyari informed him that one of the suspects, Michael Adikwu was dead. According to him, “we have the names of six suspects on our charge sheet, but they brought five suspects, we cannot go on with the case until we amend the charges because we cannot prosecute a dead person.